This handy tool removes the firing pin stop and then safely replaces it in 1911’s and 1911 clones. Made from nylon it is oil and solvent resistant. The interior of the tool also is a handy bushing removal tool. Fits both standard bushings and commander style. A simple little fool but a great addition to any 1911 fans tool box. This tool helps sort recoil springs by pull weight so you can use the correct spring for your load. This tester comes with a digital scale. Use is simple, just insert spring on bolt, insert in tool, attach coupler and scale. Pull until proper compression is achieved. 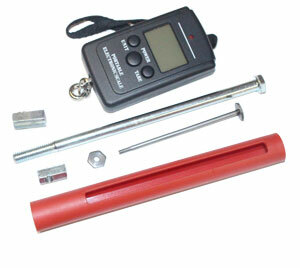 Tool is marked with a line at 1.625″ which is the Mil-Spec compression length of a 1911 recoil spring. Begining February 1, 2013, the Spring Tester will include the NEW adapter, Model #11539 to check mainsprings, firing pin springs etc. Spring tension can be one of those things that messes with you. Here is a way to be sure you have the correct spring in the gun. 22TCM has been creating some buzz. This cartridge is a shortened 223 case. 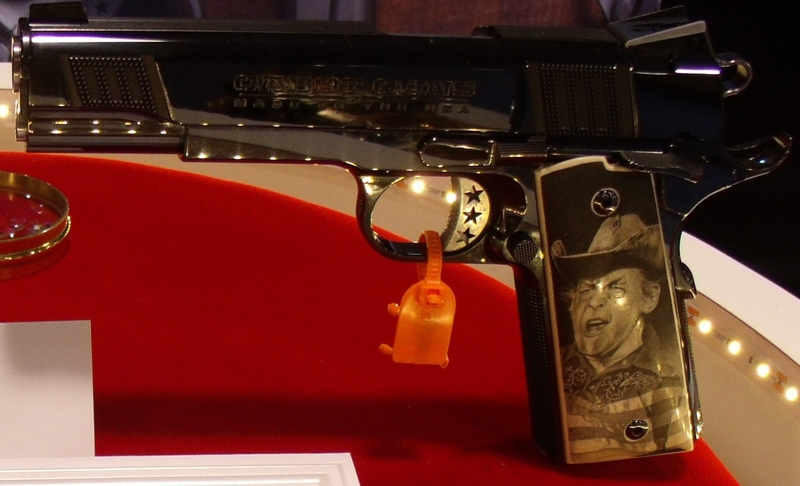 The original idea was to make a cartridge that would fit the 1911 frame. This is not the first cartridge of it’s type, the 223 Timbs and the 22 Reed Express were similar designs on the 7.62×25 case. They were designed to make use of the surplus CZ75 pistols that were available a few years back. These have since dried up and the prices are starting to climb. Rock Island Armory (RIA) has designed a center fire bolt action around the 22 TCM cartridge. Great news for wildcatters, as this is a dedicated pistol length cartridge design. It utilizes a five round box magazine, but can also use the seventeen round magazines from the pistols RIA offers for this cartridge. 22 TCM is the brain child if Martin Tuason and Fred Craig, TCM is an acronym for Tuason Craig Magnum. At slightly over 2800 feet per second with a 40 grain bullet, the 22 TCM will be a popular varmint round for mid range shooting. The added fun of having a pistol in the same caliber with interchangeable magazines seems like a winner all the way around. Stocks are stated to be of Native Philippine wood, so custom stocks will be a natural offering for gunsmiths. 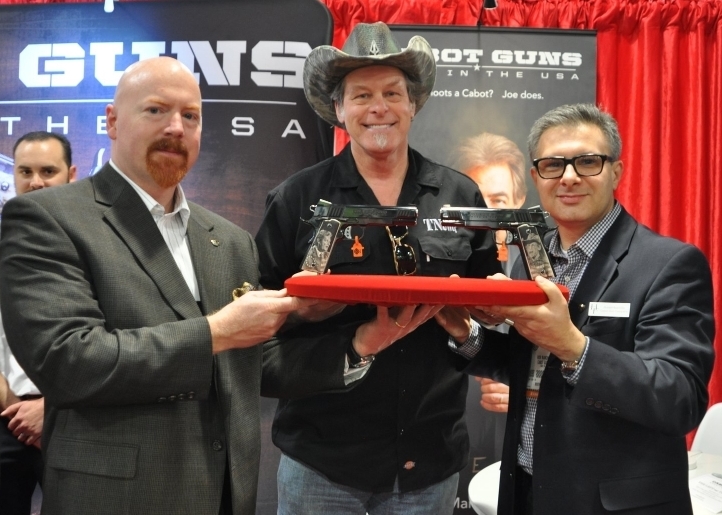 I can already imagine several wildcats for this platform and even a few factory pistol cartridges that would be fun in a tight little package. Metal finish is listed a parkerized. Scope mounting is a rail system. This my be the weak point of the rifle, but any gunsmith worth his salt can take care of that issue. More to come on this gun. Chiappa Firearm Company is an incredibly modern and progressive company operating out of Brusha, Italy. 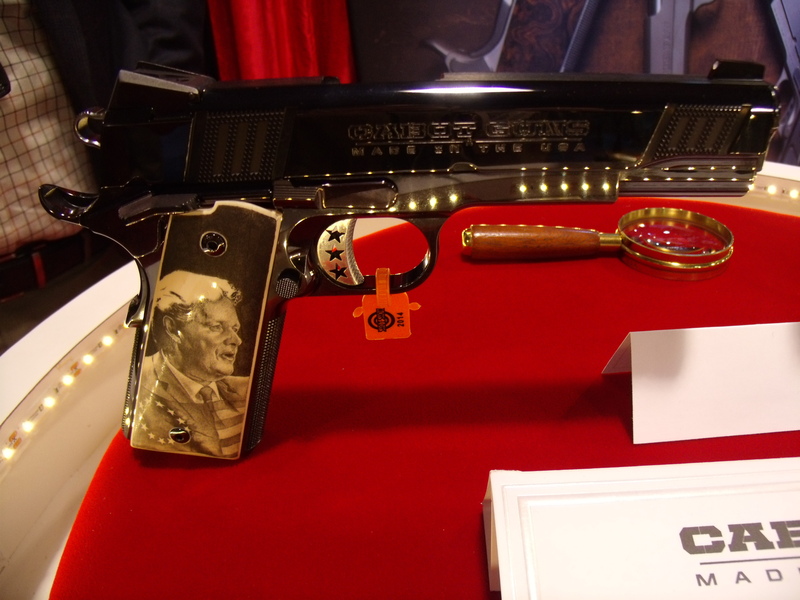 It employs high-tech types and old school traditional craftsmen to turn out a wide variety of high-quality firearms. Currently Chiappa makes over 70,000 firearms a year out of their new ultra-modern 108,000 square foot main plant which employs 80+ employees and exports to 62 countries world wide. The company was started by Ezechiele “Oscar” Chiappa. In the early 1950s Oscar started in his career with Tanfoglio as a production line worker. But within four years at the ripe old age of 22 he was promoted to manager of all production which at that time was revolvers for the most part. In 1958 the owner of Tanfoglio became ill and abruptly passed away; his wife decided to sell the company. In the process, Oscar was removed from his management position so he decide to resign and move on. His life-long love of firearms, along with his machining expertise, kept him in the industry. He formed a new company to do subcontract work for other manufacturers. Eventually this new business lead to Oscar founding another company, Armi Sport. Armi Sport manufactured replica firearms such as black powder and early western models as used in America’s Wild West. These were and still are popular thanks to movies and television. And back then American westerns were very popular with Europeans. Eventually Oscar’s replica firearm business bled over into the huge U.S. market. Oscar’s son Rino (pronounced Reeno) virtually grew up in the gun industry going to dad’s factory when possible. Rino learned early on how to make firearms at Armi Sport. By the age of 10 Rino was able to correctly operate most of the machines. Rino’s manufacturing education continued at the family business after hours, through high school and during summer vacation from school. When Rino was around 19, that the old Tanfoglio Company that dad, Oscar worked in went bankrupt. This presented an opportunity to the Chiappa family to pick up more firearm orientated milling machines for their growing company. Rino pressed for the family to buy these machines–and to restructure the current Arim Sport. Imagine, the non-emotional and quiet family discussions these easy going Italians had around the dinner table… NOT. In the mid-80s Rino took over management with dad Oscar watching to make sure he did not screw things up. But Rino had things well in hand and was growing the company and now granddad Oscar was teaching his young grandchildren how to make guns. In 2002, work was nearly completed on the new current super modern factory when Oscar took sick and passed away; he never saw the new factory completed later that year. The company was growing very quickly and now with the name of Chiappa Firearms they expanded production further into modern firearms (some revolutionary like the Rhino Revolver). Production of their quality replica and blank firearms continued. Chiappa’s replica firearm unit reverse engineers vintage firearms and then using modern equipment creates accurate high-quality replicas. Chiappa machines all the parts and components from solid bar stock–no castings. All wood parts are hand oiled 3 to 4 times and hand polished. This is old country quality combined with modern day technology producing beautiful quality firearms. Rino is an active NRA member and he is not just a gun maker and designer; he is an avid hunter, shooter and President of SASS in Europe. Gene Kelley of AGI Talks About Their Gunsmithing Program. 4D Reamer Rentals LTD. announced today that the winner of their Sweepstakes was Michael Edge. Apparently going to Front Sight Firearms Institute is on his “Bucket List”. Which is great, because he can now attend one of their classes and receive world class Defensive Handgun training.